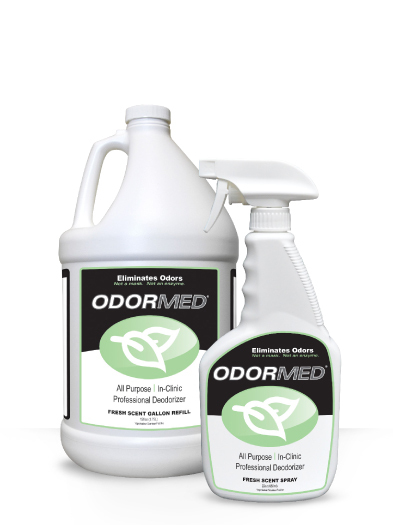 Manage odor with New, Professional Strength, All Purpose ODORMED. For quick, permanent results spray directly on the source of the odor. Use enough product to completely cover and saturate the odor area. For hard surfaces spray directly on the source of the odor and wipe or let air dry. For fabric or carpet, soak the area to allow ODORMED to reach the odor source. Let air dry. On stains, soak the area and rub thoroughly with a sponge or a clean cloth and let air dry. The product must come in contact with the source of the odor to be effective. If odor persists after ODORMED has dried, the source of the odor has not been reached. Continue to reapply as necessary.